Does weightlifting feel like a foreign style of training to you? If so, that’s completely understandable. Learning a new skill – cooking, a language, or fitness – requires a lot of practice. As a trainer, I’ve helped many people go from being sedentary to lifting weights multiple times a week. I’ve laid out a general plan that will help you learn how to move correctly without weight, in order to prevent injuries when you do advance to incorporating weights. 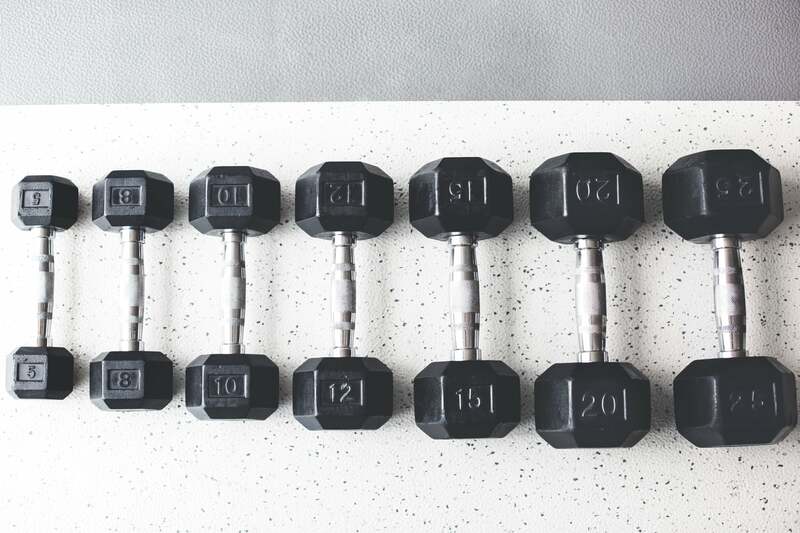 Get ready to cross off “learn how to lifts weights” from your list of fitness goals with these three simple weightlifting tips. Once you are comfortable with bodyweight exercises like push-ups, planks, and lunges, advance to learning basic strength training movements with weight. Once these moves become second nature, you can continue to progress to more advanced moves like deadlifts and hip thrusts. Practice makes perfect, especially when it comes to lifting weights. You’re going to need to practice these moves often, preferably with the supervision of an experienced trainer. From there you can begin to focus on compound exercises (multiple muscle groups being worked at once) like the squat and press to get the most out of your workout. 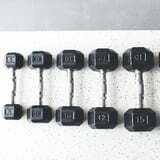 If you’re new to strength training, I recommend doing three strength training sessions a week. This will give your body ample time to recover and adapt to this new style of training. When it comes to programming, I constantly change the focus and style of each session to create muscle confusion and prevent a plateau. One session may specifically target the lower body, other days may focus on chest and back, and some days will be conditioning (non-stop activity for the entire session). If you aren’t sure how to create your own program, this four-week beginner plan is a great resource.